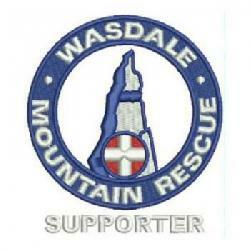 Langdale Ambleside team requested assistance from Wasdale MRT to search for two lost walkers on Crinkle crags. The two 70 yrs. male walkers from the North East who had left their car at the Old Dungeon Ghyl Hotel, were last heard of as a broken message at 5.00 p.m. LAMRT had also brought in SARDA search dogs with their handlers. 22 Wasdale team members including a Wasdale MRT SARDA search dog were deployed on the hill from the Eskdale and Cockley Beck Side. The lost walkers were found at 10.30 p.m., safe and well opposite Heron Crags on the path in Eskdale making their way very slowly down in the dark to Brotherikeld. Their only light was from their mobile phone screen. The weather forecast for the remainder of the night was poor. The lost walkers were walked back to Brotherilkeld and returned to their car by LAMRT . 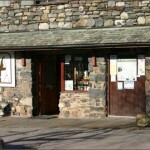 Incident was closed at the Wasdale end by 12.00 midnight.